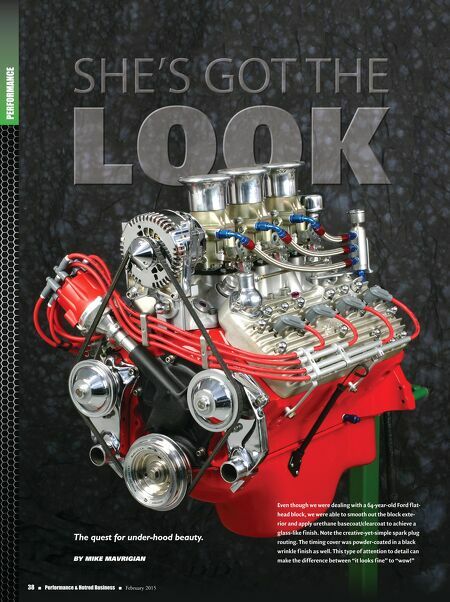 PERFORMANCE 38 n Performance & Hotrod Business n February 2015 The quest for under-hood beauty. 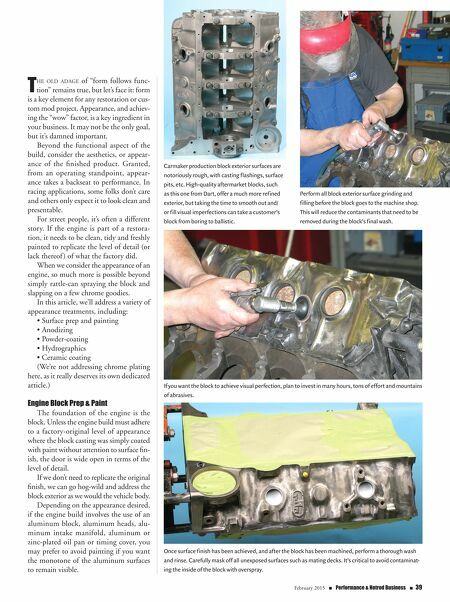 By Mike Mavrigian Even though we were dealing with a 64-year-old Ford flat- head block, we were able to smooth out the block exte- rior and apply urethane basecoat/clearcoat to achieve a glass-like finish. Note the creative-yet-simple spark plug routing. The timing cover was powder-coated in a black wrinkle finish as well. This type of attention to detail can make the difference between "it looks fine" to "wow!"